The Met Office has warned that Britain faces “very significant snowfall” this week, with some parts of the country expected to reach as low as -10 degrees Celsius. Runways at Manchester and Liverpool airports were forced to close, and staff were out on the runways in the early hours trying to clear the snow. Yellow weather warnings for snow and ice cover the majority of the UK and drivers have been urged to take caution as the roads may be covered in snow or “hidden” black ice. Train and bus services have been affected with drivers facing tailbacks and lengthy delays in some places. Journeys on the roads could take “a lot” longer and should ideally be avoided if possible, said Met Office meteorologist, Alex Burkill. The warning in Scotland, Northern Ireland and most of the UK ran until 11am today, while the South East, London and East Anglia are covered until 12pm. However, further warnings have been issued for Thursday and experts fear this new wintry weather front has the potential to cause more disruption. The Ministry of Defence has confirmed the Army is on standby and prepared to help if called on by local authorities. 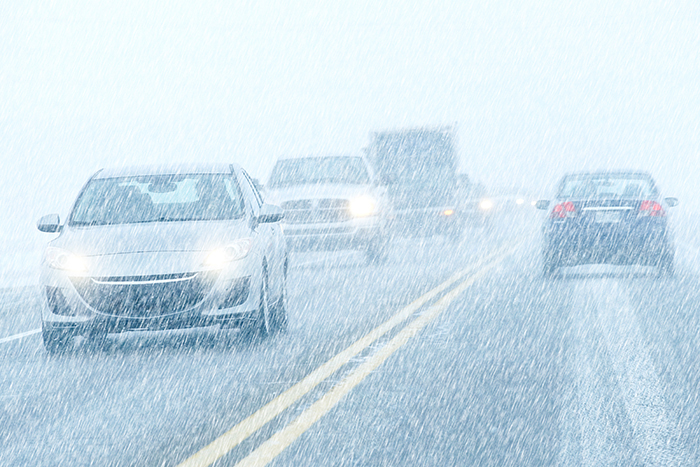 The forecasted snow and ice are expected to create treacherous conditions on the roads and drivers are advised to only make important journeys and to check before they travel. The AA recommends carrying an emergency winter kit which includes batteries and in-car phone chargers, antifreeze, a blanket, snacks, a flask of hot drink, water, a map or sat-nav and an ice-scraper. Administration fees payable of £270 inc VAT per application payable for move in with deposit and rent.